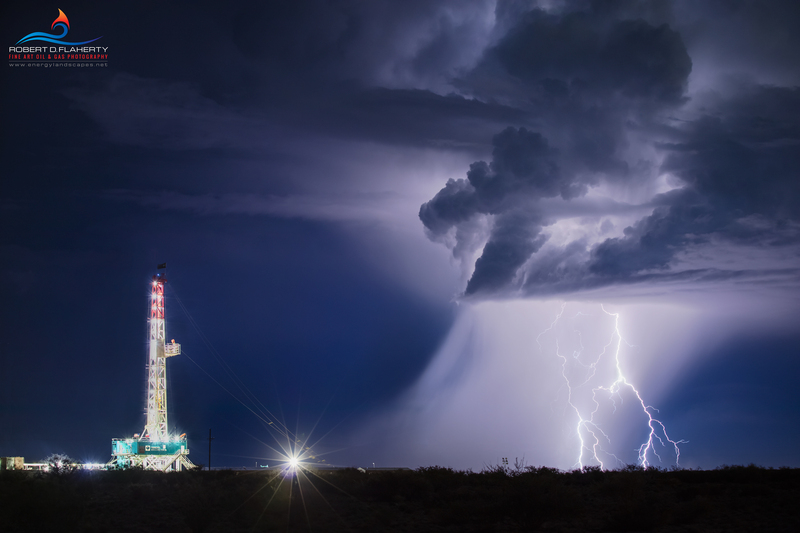 The End Of Tranquility was shot during the 2017 Summer Monsoon in the Western Delaware Basin near Orla Texas. The image was made using three high resolution cameras calibrated together and aimed each at a third of the location. The three images are then composited together to make one very high resolution image. The use of three cameras is necessary when photographing lightning due to its unpredictable and transitory nature. The end result is the highest quality image possible. This is especially important when producing very large scale fine art photography such as a fine art mural. The resolution in this print would support a mural up to 16 feet wide. The boost in resolution also makes for very finely detailed fine art prints on canvas or water color paper.